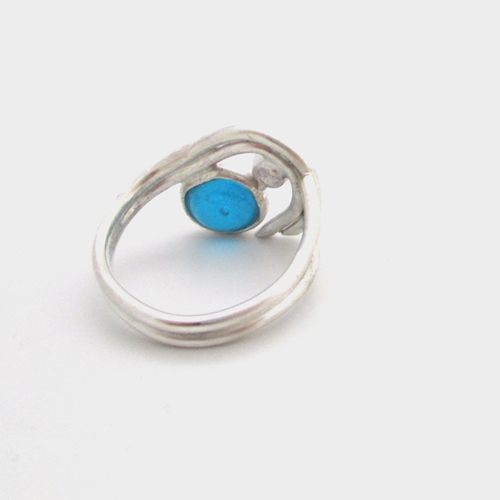 The gorgeous piece of turquoise sea glass in this ring was found on a beach in Seaham, England. The sea glass is set in a sterling silver bezel. The setting is open behind the sea glass to allow the beautiful natural color shine through. The band is a split style ring handcrafted with pure (99.9%) silver. Pure silver is more resistant to tarnishing. In addition to the sea glass it also features a triple “A” grade Cubic Zirconia CZ diamond cut stone. Sea glass jewelry makes the perfect gift for the sea glass enthusiast in your life. All of our jewelry comes in a gift box. 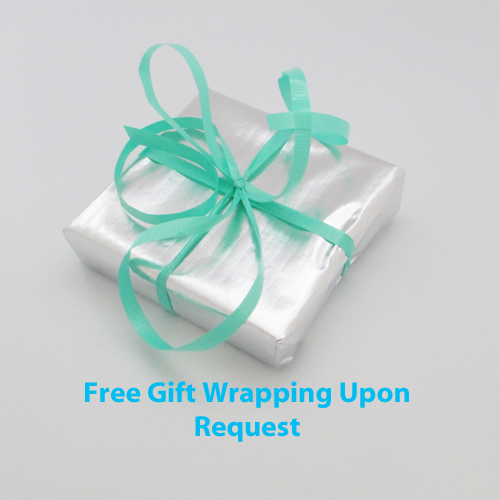 Complimentary gift wrapping is available upon request. 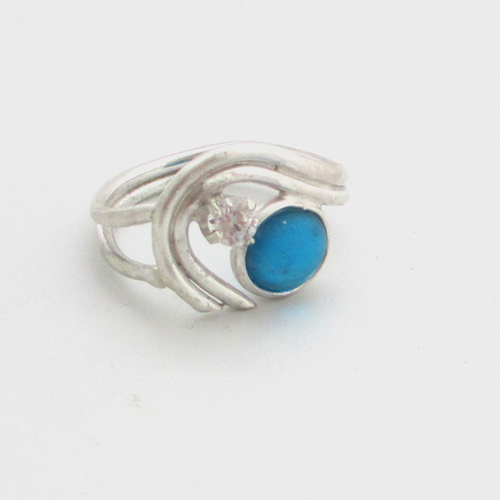 We can customize this ring style for you. 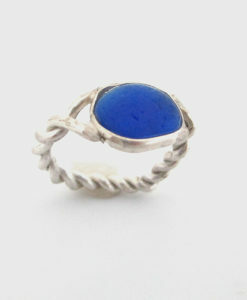 Just let us know the color sea glass and gemstone you want incorporated into your rings. We guarantee all of our sea glass is authentic beach glass that has not been altered in anyway. It is left just as it was found on the beach.